On February 19th, our own Nettie Owens will lead a mini-workshop: Discovering the "Era of Endless”. 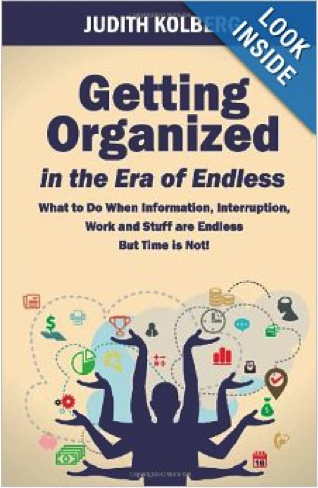 The workshop will feature lessons and solutions from Judith Kolberg’s book, Getting Organized in the Era of Endless: What To Do When Information, Interruption, Work and Stuff are Endless But Time is Not! Explore Judith’s book and what she has coined, "The Era of Endless"
All members are encouraged to read the book prior to the meeting. It is available in paperback and Kindle versions at http://www.amazon.com/Getting-Organized-Era-Endless-Interruption/dp/0966797094.